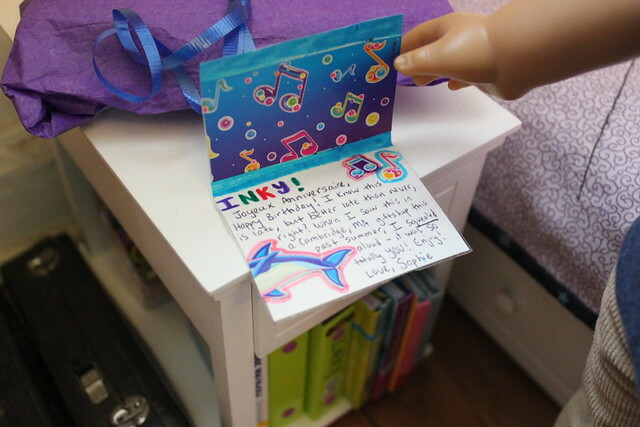 Sophie's gift - Super Inky! This afternoon, I came home from my Russian kids' group to find Violet playing on the computer on her bed. "Hi Inky!" said Violet cheerfully. "There's a present and card for you on the nightstand. Special delivery!" 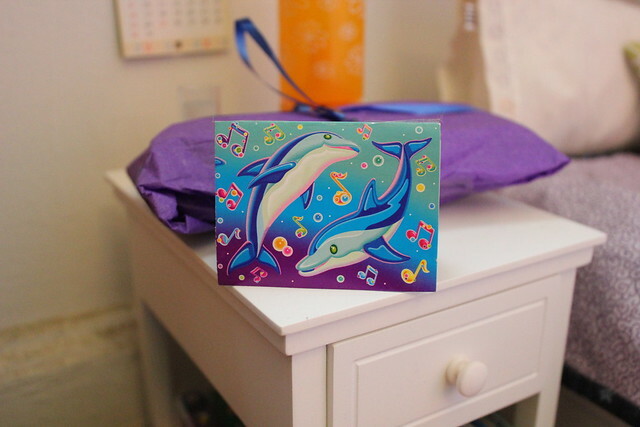 I walked over and there it was- a big purple present and a card with Lisa Frank dolphins on it! What could it be? I read the beautiful card- it was a birthday gift from my French friend Sophie! She's so sweet! She got my gift a bookshop in Massachusetts. I climbed onto my bed with my present. I squeezed it- it was soft. I shook it- it didn't make any noise. Hmmm. What could it be? I ripped off the bow, tore at the wrapping, and peeked inside. Could it be? Yes! It was a park ranger doll, just for me! What an absolutely perfect gift! Thank you Sophie, you are such a dear, thoughtful friend! Have you ever gotten special gift from a friend? In this entry I'm wearing: navy blue tee from Dynamite Threads, corduroy pants from Liberty Jane Clothing, and Janes shoes from A Bee Line. 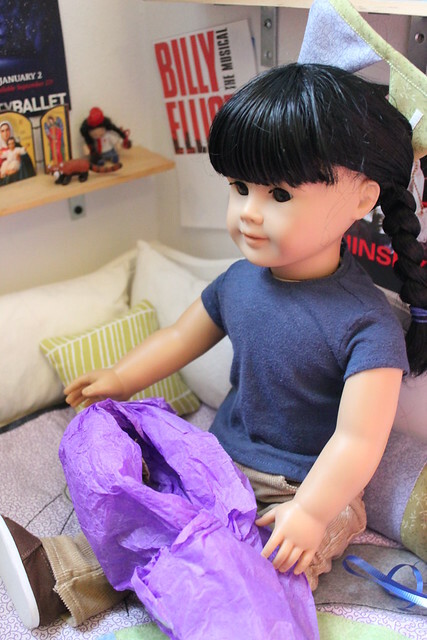 Thank you also for blogging about your life :) In seeing pictures of you and other dolls that look like you, I've decided to adopt one. 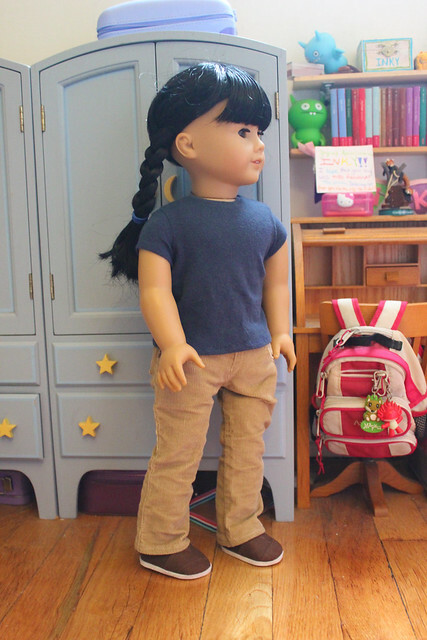 My doll's name is Tillie, I think! 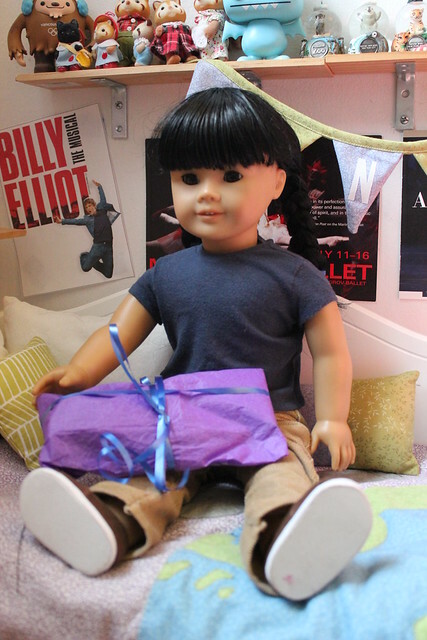 I'm so glad you like your new doll! 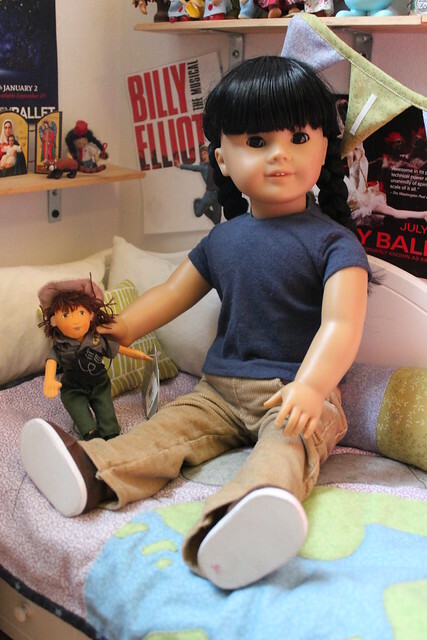 Since you want to be a park ranger when you grow up, I felt that a park ranger doll couldn't be more perfect for you! Have you thought up a name for her yet? can you post a room tour? I will probably post a room tour in January 2013. Hello, Inky! You're invited to follow our blog! We are the dolls (mostly small, like Barbies) of Dollton, which is the royal city we live in. Hopefully you can visit our blog! This is so embarrassing!! Hmm... THIS is the right link . You must forgive us for messing up with the other links, after all we are dolls!